Select us as your professional Real Estate Agents! I'm a Nurse & The Parrishes Saved me over $3000! 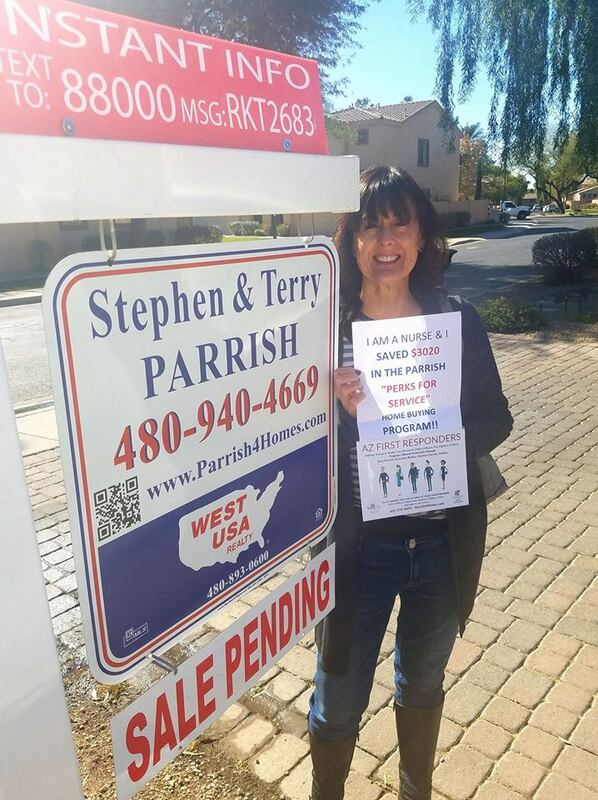 Bought a Single Family home in 2018 in Chandler, AZ. I am a nurse and I benefitted through Terry's "Perks for Service Program." 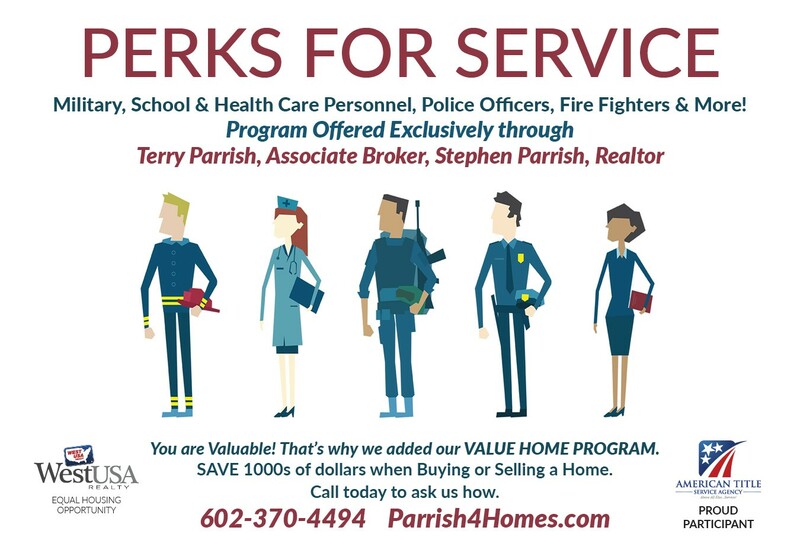 Terrry contributed a generous portion of her commission, The Title Company & Mortgage Company also participated in Terry Parrish's, "Perk for Service Program", they gave me a discount & credits for being a nurse, I saved over $3500 in Terry’s program! Terry helped me buy a home and she answered all my questions about the home. She provided a folder at closing that had everything I needed to know about my new home. I recommend Terry to anyone looking to buy a house.